We have all read the correlations being made today between poor oral health/periodontal disease and systemic diseases such as diabetes, cardiovascular disease, stroke and low weight births. While no hard and fast causative associations have been determined the mounting evidence stongly suggests a distinct correlation between poor oral health and disease entities. When you become a patient in our quality-driven , prevention-oriented practice you will have a thorough initial examination which includes a full mouth set of radiographs, an oral cancer screening, complete periodontal assessment as well restorative needs determination. We utilize intra-oral cameras to help you clearly see any needs that we may dicover. 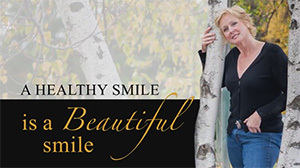 We are here to help you maintain or regain a healthy smile in a non-judgemental environment where no one has need to be embarassed by how long it has been since they have seen a dentist. The excellent and caring hygiene department along with Dr. Elston will determine what you hygiene needs may be from adult cleanings to non-surgical periodontal treatments. Our well trained hygiene staff will discuss the causes and treatments for your care. We are strongly committed to educating the patient so he/she can become an integral part of maintaining their healthy, beautiful smile…for life.